"The 47MB update is available now through Software Update or via Apple's site as a standalone installer." This should fix that annoying problem of not being able to open projects imported from GarageBand for iPad. 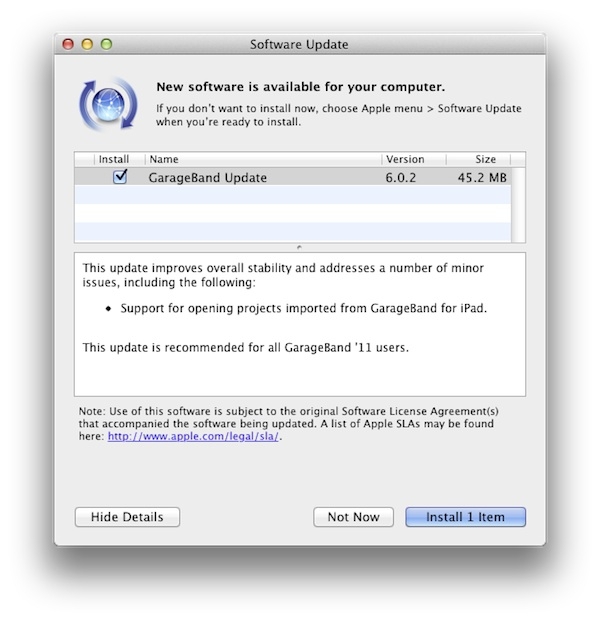 If you are using GarageBand '11, this is a must get update.